Part 10 of MindShift's Guide to Games and Learning. 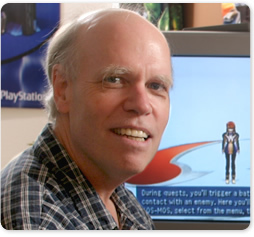 Most people involved with games and learning are familiar with the work of James Paul Gee. A researcher in the field of theoretical linguistics, he argues for the consideration of multiple kinds of literacy. The notion of “New Literacies” expands the conception of literacy beyond books and reading to include visual symbols and other types of representation made possible through, among other things, current digital technologies. Gee is included in this series because outside of academic psycholinguistics circles, he's especially well known for his work on video games. He’s written and edited many books on game-based learning and education. He’s influenced countless game designers and educators. Some of his theories have provided the foundation for many of the ideas I’ve covered in this series, especially those having to do with systems thinking. In the following conversation with Gee, we discuss literacy, systems thinking, education, socio-economic inequality, and, of course, video games. Jordan Shapiro: Your book, What Video Games Have to Teach Us About Learning and Literacy, is a classic in games and learning circles. It is rare that I meet a game developer who doesn’t mention it. Did you expect it to have such a big impact when you wrote it? James Paul Gee: No, I did not expect such a big impact. I wrote the book because my then six-year-old’s gaming turned me on to try an adult game. I had never played video games before. I was, at first, truly amazed by how hard and long they were. To learn to play them well required a great deal of persistence past failure. Eventually, I loved playing games and realized that if I did not write about them I would not have an academic career anymore. JS: One of key concepts in the book is that literacy is about more than just reading words. I find that it is a bit of a leap for people who aren’t familiar with linguistics to grasp that idea. These days we talk about “digital literacy” and “financial literacy” as if it just means “competency.” But it is more complicated than that. Can you briefly explain how literacy and systems thinking are related? "We cannot change our society in one fell swoop. Sneak in, move quietly, attack unseen, put away the suit—be a snake." JG: The human brain devotes only one special function to reading (namely, decoding sounds into letters and vice-versa). Otherwise, all the mental capacities that we use to understand and give meaning to print are the very same ones we use to understand and give meaning to oral language and to the world. Current work on the mind argues that words gain meaning from experiences we have had in the world. We use our previous experiences to build simulations (images and actions) that we attach to words to assign them contextually appropriate meanings. In a sense, then, video games are like an external version of the mind. When we understand things and plan actions we run game-like role-playing simulations in our heads. In a sense, our mind is a game engine. We can combine elements from disparate experiences and create fantasies and think through complex problems. System thinking involves being able to think in terms of complex interacting variables that make a system more than the sum of its parts. We most certainly want to see much of the social and natural world in these terms, since being stupid about systems (e.g., global warming) can lead to nasty unintended consequences. Video games are complex systems composed of rules that interact. Gamers must think like a designer and form hypotheses about how the rules interact so they can accomplish goals and even bring about emergent results. Thinking like a designer in order to understand systems is a core 21st Century skill. JS: Okay, so systems thinking is related to literacy, but certainly playing video games won’t teach kids how to read books, will it? In fact, the way you’re talking about literacy, it applies to more than just the language arts. And thinking in this way about literacy makes it easy to see that STEM and ELA are fundamentally both just semiotic systems. Why is this concept so important to the future of education? JG: Understanding oral and written language involves essentially running video-game like simulations in our heads. We run problem-based simulations where we try out various actions in our heads (as ourselves or someone else) and gauge their possible consequences. A game manual is given meaning by the game world it is about, not by a dictionary. A physics textbook is a “game manual” for the actions, experiences, and problem solving that physicists engage in. The textbook, too, is given meaning by the “game” and the world it is played in (a somewhat different world than our everyday world, since physicists, thanks to their tools, can see things like electrons). In school, we give people texts when they have not had enough experience in the worlds the texts are about, the experiences that give the texts meaning. It is as if we were to give kids game manuals without the games. It only works for kids who are getting a lot of experiences at home—backed up by lots of talk with adults about these experiences, talk which helps the kids learn to map language on to experience and vice-versa—but it is disastrous for less advantaged kids. Whether it is STEM or ELA, if we do not deliver the game, but only the text, we do not get problem solvers and system thinkers, we get, at best, paper-and-pencil test passers. JS: Clearly, you’re not just proposing that we throw video games into the existing educational landscape willy nilly, are you? It is not that games are going to improve test scores or content retention. You’re suggesting we need to fundamentally change the way we think about learning--or at least the way we think about what and how we TEACH. Can you explain? JG: Yes and Amen. Games can be used—like any other technology—to instantiate the current paradigm of mindless testing, punitive accountability, and fact-based education untied to thinking or problem solving. However, this is like using a machine gun to kill an ant. Games and other related technologies—together of course with talk and texts—have the potential to radically change the paradigm and unless we do change the paradigm they will just be co-opted by the current grammar of schooling. Schools today contribute to our massive inequality by providing (some of) the rich with a good education and the poor with test-prep to fit them for future service jobs. In the face of making profit and competing with near monopolies, it is easy to sell out and become part of the problem and not part of the solution. There is a reason why the great game heroes we love (e.g., Solid Snake, Gordon Freeman, Lara Croft, Mario) don’t wear suits. JS: It seems to me, then, that your message is more about learning from games than it is about using games. Am I correct? Your (and my) vision of a utopian school doesn’t look like a video game convention full of kids clutching joysticks. So, if you had to pick one primary way of thinking about learning/teaching that our schools should appropriate from video game developers--the big soundbite takeaway--what would it be? JG: I want to bring rich, well-mentored, well-designed learning systems to school. These systems would connect digital tools, other technologies, interactions, talk, and text (each being used for what they are best for) to marry experience and language in the name of problem-solving and design thinking. JS: Still, video games can be one tool that’s used in the classroom, right? It is possible to design really impactful game-based learning platforms, isn’t it? In addition to the lessons we can learn about education from video games, do you think we should continue to integrate games into some parts of the school curricula? JG: Of course. But I am against any one tool (think textbook) being used for everything. I want all the best tools we have used in concert with each other to create collective intelligence. I want tools to be recruited in a learning system to do the jobs for which they are best fitted (which might be different in differently designed learning systems). For example, games are often good for preparation for future learning, motivation, and getting lots of practice in core skills and concepts at an experiential level. They can be good, as well, at helping learners to form non-cognitive skills like passion-fueled persistence past failure in the name of copious deliberate (thoughtful, strategic) practice. JS: How about on a practical everyday level? Teachers are operating within an environment that you’ve called a “toxic mess.” They might change the way they think about education and literacy, but actually changing the way they teach is a much bigger challenge. Parents and politicians say they want to fix education, but they stubbornly resist anything that looks like a paradigm shift. Do you have any suggestions for how teachers might begin to make incremental changes within a maddening infrastructure? JG: The goal is not to make the prison better, it is to let the prisoners (students and teachers) free. Our society today is a mess. We have the highest level of inequality we have ever had. We readily ignore and even disdain evidence (e.g., global warming, evolution). We have a casino capitalism unmoored from productivity or social good. School reform has very little to do with schools. There are no other silver bullets. The problem of making school good for everyone is one of having the social will to gain more equality in our society, to honor more than money and status, and to give everyone the right to be a producer and participant--not just a consumer and spectator. We keep talking about schools and teachers, because we do not want to talk about society, ourselves, and the craven way we have empowered the rich, corporations, and rampant social Darwinism. We cannot change our society in one fell swoop. Sneak in, move quietly, attack unseen, put away the suit—be a snake. JS: In your most recent book, The Anti-Education Era: Creating Smarter Students Through Digital Learning, you express a lot of concern about how technology is integrated into schools. What is it that worries you? JG: What worries me is the way in which we in the United States have enshrined human stupidity. In an age where interacting complex systems are killing us with the consequences of greed and stupidity, we regularly disdain evidence and honor ideology. Lots of Americans believe the Earth is about 6000 years old, do not believe in evolution, and think that Christianity was about wealth and a form of social Darwinism. For me, evidence means trying to do something in the world (as an everyday person or a scientist) and paying close and respectful attention to how the world responds to our “probe.” Is its response good for our goals or should we rethink and act again in a new way? When we disrespect the world, the world bites back and, boy, is it biting back now. Our current situation is now too dire and the complexity of the world is now too great for us to any longer rely on traditional silo-based notions of expertise (look what Alan Greenspan did to the global economy). 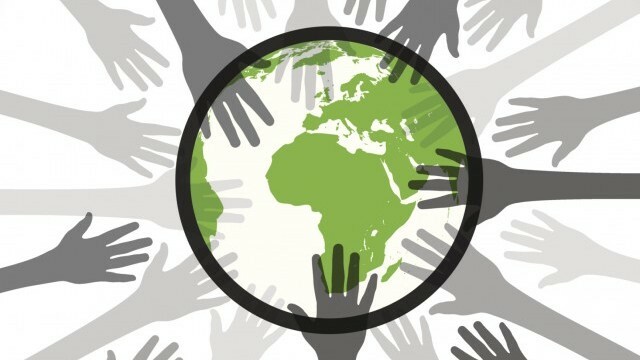 We need collective intelligence where we view humans, in mind and body, as plug and play devices that get smart only when they are plugged into good tools, good people, and good practices in the service of pooling knowledge and diversity to make the world a better place. Games like Foldit or things like Galaxy Zoo are already interesting beginnings here. Digital and social media can niche our silos into pure echo chambers or they can create worlds of new experiences and possibilities. JS: What do parents and educators need to know about the future of education and the future of game-based learning? Some things about edtech are inevitable, are there places where we need to be especially mindful? JG: When I say in talks that Armageddon is upon us, people laugh and dismiss the claim as far-fetched. But the reality is Armageddon has already come for untold millions of people in the world who are starving and dying as the consequences of global warming, the global economy, and conflicts over resources. It is clear from massive amounts of research that while we cannot predict what will happen in the future—because we have created a swarm of black swans due our greed and stupidity—we can say it will be a time of great change and transformation. People and institutions will have to be resilient and change with change. They will have to gain very real skills with critical thinking and complexity in order not to be dupes and victims of the rich, corporations, media, and governments. They must become activists, knowers, producers, and participants and plug into and play with right team of people and tools. This requires ethical thinking and a vision for a better world. People must become proactive, deliberate learners in and out of school and for their lifetimes. Good parents and good teachers must mentor them to be such deliberate, strategic, and ethical learners. Then people will face the future as gamers gaming systems to mod our world. JS: Anything else you want to say that I haven’t asked you about? JG: Don’t trust people in suits who don’t game.